November tends to be one of the quieter month for shares. After the sometimes dramatic moves in September and October, and before the traditional end-of-year rally in December, investors seem to take a pause in November. 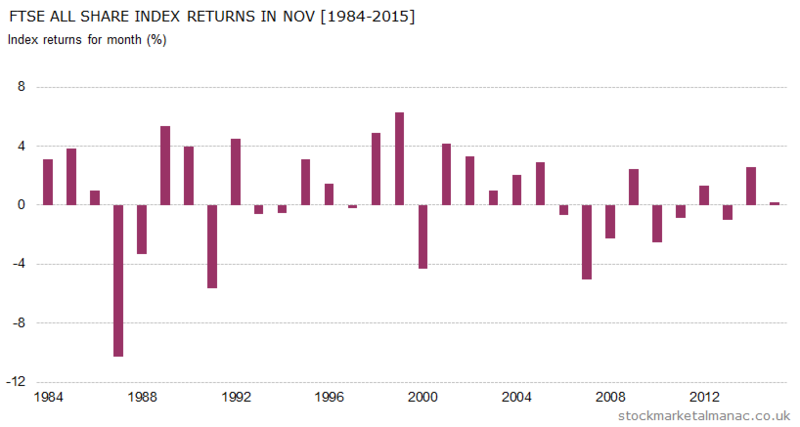 The month currently has the lowest volatility of monthly returns of any month in the year. Of course, this year may be different with the US presidential elections this month. As can be seen in the accompanying chart, the market used to be strong in November for many years prior to 2005, but since then the market has been more likely to fall than rise in the month and has seen an average month return of -0.6%. As can be seen in the following chart, on average the market tends to rise the first four days of the month, this could be influenced by investors buying into the market anticipating the strong six-month period of the year November to April (the Sell in May effect). After that the market then gives up those gains over the following few days, rises again, falls back, until finally increasing quite strongly over the final seven trading days of the month. In the last ten years the FTSE 350 shares that have performed best in November have been Babcock International Group [BAB], Compass Group [CPG], CRH [CRH], BT Group [BT.A], and Greene King [GNK]; Babcock, Compass and CRH have only had negative returns in November in one year since 2006. An equally-weighted portfolio of these five shares would have out-performed the FTSE 350 index by an average of 5.2 percentage points each year since 2006. While the FTSE 350 shares with the worst November performance over the last ten years have been Vedanta Resources [VED], Royal Bank of Scotland Group (The) [RBS], Tullett Prebon [TLPR], Ashmore Group [ASHM], and Standard Chartered [STAN]. Elsewhere, November has been a strong month for gold and weak for oil and GBPUSD. This is a busy month for interim results: 64 companies from the FTSE 350 make their announcements this month. 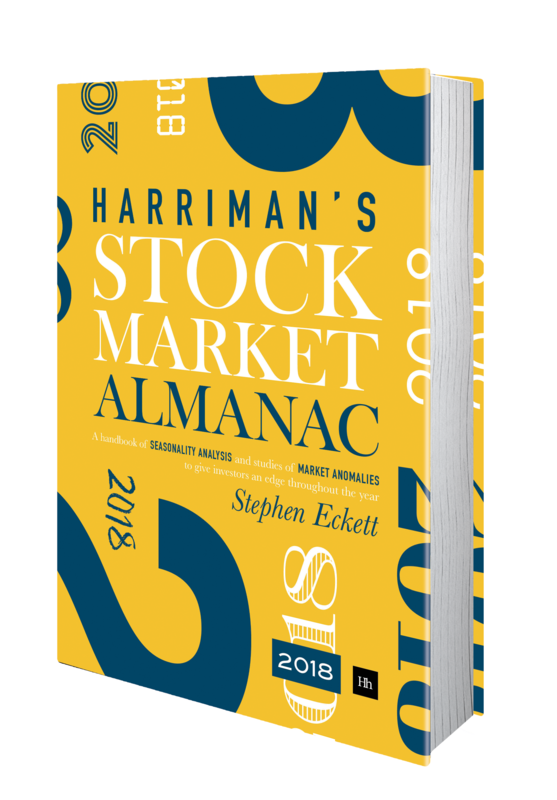 Dates to watch for this month are: 1 Nov – two-day FOMC meeting starts, 3 Nov – MPC interest rate announcement at 12 noon, 4 Nov – US Nonfarm payroll report, 8 Nov – US Presidential Election, 24 Nov – Thanksgiving Day (US), NYSE closed, and 30 Nov – FTSE 100 quarterly review. The big event this month will obviously be the US presidential election on 8 November. Analysis of the impact of these presidential elections on the UK market since 1972 shows that on average UK shares tends to trade stronger as the election day approaches, and then tails off in the few days following the election. The strongest day of the period has been the election day itself. Further articles on the US presidential elections.